James Fowler joined the faculty of Emory's Candler School of Theology in 1977 and served as director of the university's Center for Ethics from 1994 until his retirement in 2005. A celebration of life will be held Saturday, Oct. 24, for former Emory Center for Ethics Director James W. Fowler III, an educator, ethicist and distinguished theologian who won international acclaim for his pioneering research into faith development and practical theology. The service will begin at 2 p.m. in the sanctuary of Emory's Glenn Memorial United Methodist Church. A reception will follow in the Ward Fellowship Hall. Fowler, Charles Howard Candler Professor Emeritus of Theology and Human Development in Candler School of Theology, died Friday, Oct. 16, surrounded by his family, following a battle with Alzheimer's disease. He was 75. At Emory, Fowler helped found the Center for Ethics as its first full-time director, serving from 1994 until his retirement in 2005. Today, his impact still resonates at the center through ongoing programs, scholarship and a legacy of inclusive leadership, says Kathy Kinlaw, who worked alongside Fowler as associate director of the Center for Ethics. "Jim Fowler made it possible for the university to make the commitment that it has to the growth and vision for the Center for Ethics," Kinlaw says. "He has impacted literally generations of scholars as an inspired thinker, friend and mentor." "He was a remarkable leader and human presence and an important personal figure of strength and kindness in the way he went about his work throughout his career," she says. "His fingerprints are absolutely everywhere, and we are so thankful for this legacy." Born in North Carolina, Fowler was the son of a Methodist minister and wrote of being deeply affected by his father's preaching from an early age — exposure that he credited to his emotional awakening and a later decision to dedicate his life to God. He graduated from Duke University and Drew Theological Seminary and earned a Ph.D. in religion and society at Harvard University in 1971, with a focus in ethics and the sociology of religion. Following post-doctoral studies at the Center for Moral Development at the Harvard Graduate School of Education, he taught at Harvard Divinity School from 1969 to 1975 and at Boston College from 1975 to 1976. Fowler joined the faculty of Emory's Candler School of Theology in 1977, where he was named Candler Professor of Theology and Human Development in 1987. 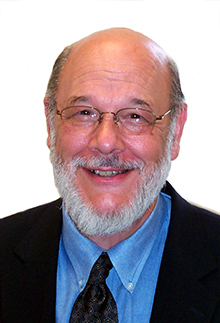 While at Emory, he also served as director of the Center for Research on Faith and Moral Development and as an ordained elder in the Western North Carolina Conference of the United Methodist Church. But Fowler is perhaps most widely recognized for shaping a new understanding of faith and practical theology in the 20th century through his 1981 book, "Stages of Faith." The groundbreaking work, which has become a staple text in theology programs worldwide, describes a developmental process of faith that involves six stages that people go through as their faith matures. "Jim Fowler's scholarship was internationally recognized for its transformative theories of faith development," says Jan Love, dean and professor of Christianity and world politics at Candler School of Theology. "He defined the field and was instrumental in creating Candler's reputation as one of the most important sites for research and teaching in moral and faith development," she adds. Although Fowler had retired by the time Love arrived at Emory, "his influence continues to reverberate in crucial, lively discussions and debates about our work and life together at the school," she says. In addition to his renowned scholarship on faith development, "Jim was a lovely, wise and personable presence, the embodiment of integrity and compassion," says Center for Ethics Director Paul Root Wolpe. "He was the model of what an ethicist should be and how each of us should treat each other," adds Wolpe, Asa Griggs Candler Professor of Bioethics and Raymond F. Schinazi Distinguished Research Chair in Jewish Bioethics. Fowler is survived by his wife, Lurline Locklair Fowler; sister Margaret Fowler McCleskey and brother-in-law Lawrence McCleskey; sister Nina Elizabeth Fowler and her dear friend Helen House; daughter Joan Smythie Fowler Ray and her spouse Kellie Louise Ryan, and grandsons Nathan James Ray and Alexander Graydon Ray; and daughter Margaret Lesesne Adams and her spouse Robert Denson Adams, and granddaughters Mary Grace Lesesne and Anna Lucia Lesesne. In lieu of flowers, the family asks that donations be made in his memory to the Candler School of Theology and the Emory Center for Ethics.